No previous movement or meditation practice is required. 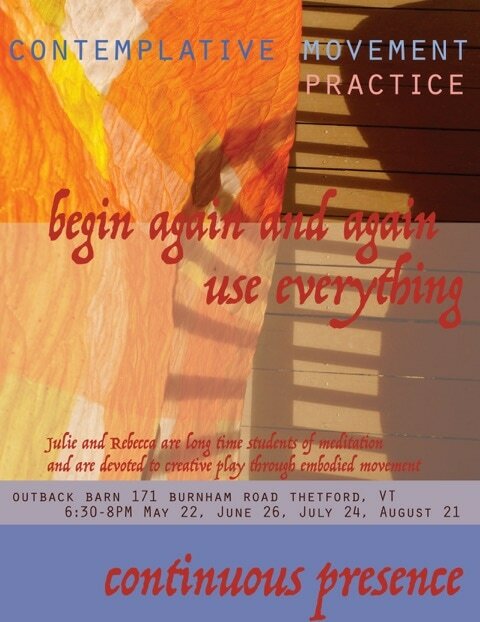 If you're interested in more information about this practice, which originated with Barbara Dilley at Naropa University (one of Rebecca's teachers), Below is a short description of one version of the practice, from Dancing With Dharma, a fabulous collection of essays about contemporary movement and Buddhist practice in the West. We look forward to moving with you soon!